Indian money has come down by 80% in Swiss bank under the present Modi, BJP government, which is contrast to report of media, shows an increase of 50% in the year 2017, reported by a government source. The source reports that the data that were disclosed in public by Swiss Bank were misinterpreted by other sources. 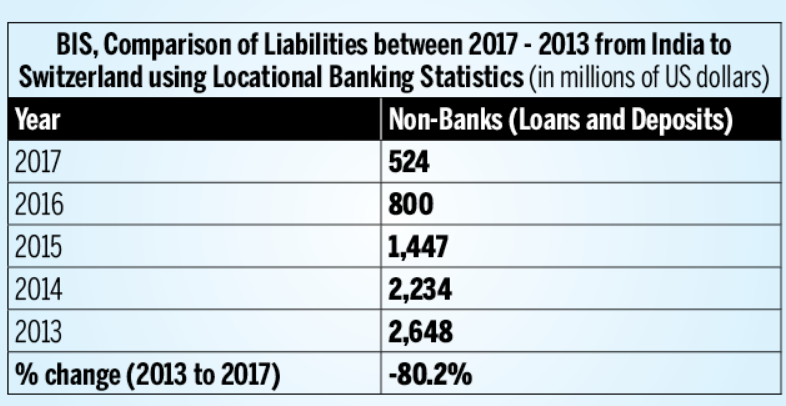 Additional ‘business of Swiss branches located in India’, ‘non-deposit liabilities’, ‘fiduciary liability’ and ‘inter-bank transaction’ were all added by the media. 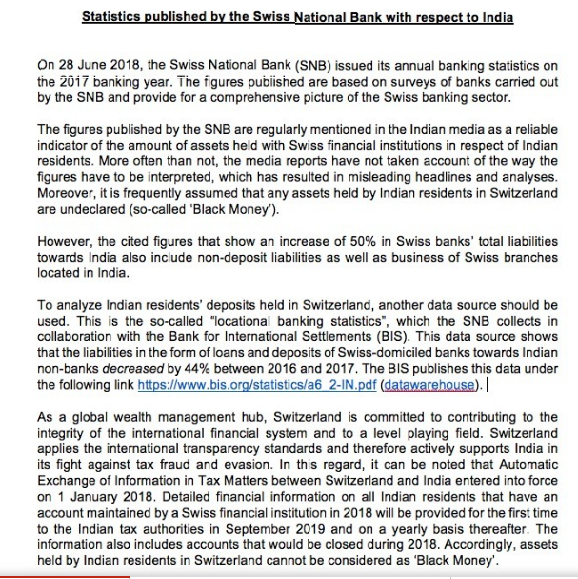 A print of government report that TOI has access, to disclose the share of Indian money in Swiss bank has refused immediately when Narendra Modi, Prime Minister of India took the charge.